Vaccine Free Children Are Healthier! 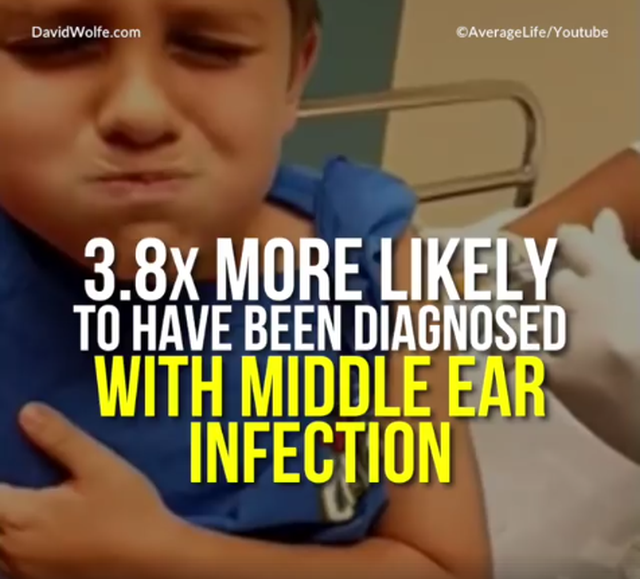 Now there is proof from an official source: vaccinations are harmful to health; allergies, developmental disorders, chronic illnesses and infections other than childhood illnesses are more prevalent in vaccinated children! Between May 2003 and May 2006, Germany’s top health authority, the Robert Koch Institute (RKI) conducted a large study called KiGGS. Its purpose was to examine the physical and psychological health of 17,641 children and youths between the ages of 0 and 17 years. First, the parents and their children were asked to complete a comprehensive questionnaire. The second part consisted of an interview with a doctor, and blood and urine tests. The vaccination certificates, if any, were also copied. At the study’s completion, there were about 1,500 individual results for each participant, resulting in a total of over 26 million data items. Even while the study was progressing, its importance was continually stressed. The evaluation of the data would provide comprehensive clues concerning the health of today’s children and youths and the environmental factors which may possibly influence it. It was claimed that this study would be able to provide the basis for improving the health of children and youths. The findings were therefore awaited with great anticipation, as at this point it was already known that vaccinations were also going to be included in the questionnaire. One year after the completion of the study, a double edition of the ‘Bundesgesundheitsblatt’ (Federal Health Bulletin) presented over 900 pages of study results to the public. Meanwhile, about 200 scientific publications concerning the evaluations and findings of the KiGGS study have been published. The connection between vaccination status and health was however completely omitted! There wasn’t even a reference to the often publicly discussed subject of “Vaccination as a trigger of allergies”. It was however mentioned that the raw data of the study would be made available to interested parties as a “public use file”. I was therefore very pleased that I was able to order a copy of the collected data at the beginning of 2009 and to actually receive it, after having paid a fee of 90 EUR. I was concerned until the very last that my request for the data would be declined, as I had openly stated on the application form what I intended to do with the data. So, since the spring of 2009, I have been busy with analyzing the data and have been continuously uncovering and publishing new findings. Those who know me are aware of my love for mathematics, numbers and logical correlations and that I welcome challenges of this kind. After I published my findings in June 2009, I was sharply attacked by the Robert Koch-Institute. The RKI claimed that my interpretations were grossly flawed. It was alleged that my research methods were incorrect and that I was incompetent. According to the RKI, not even one of the findings I had published would stand up to scrutiny. They also said that they were working on a paper which would disprove my allegations, which would be published in Germany’s medical journal “Deutsches Ärzteblatt“ by the middle of 2010. Until now, nothing has however been published. 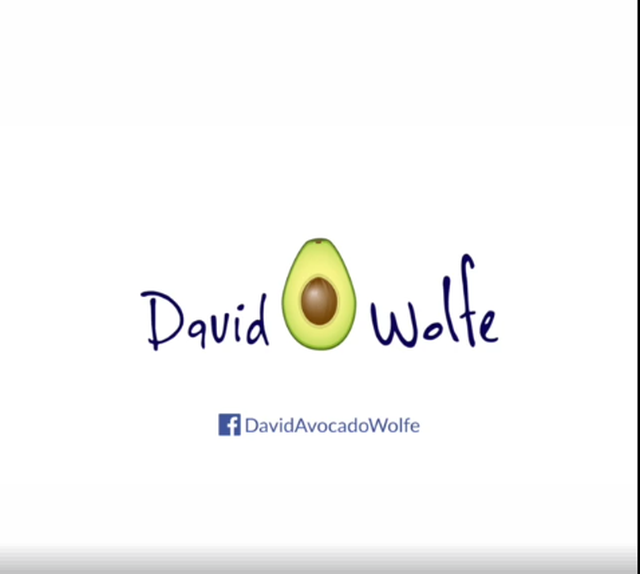 It is left to the imagination of the enlightened reader to figure out what prompted Germany’s top health authority to attack a person who does clean and honest work, without providing any evidence to back up its accusations. The findings of the so-called TOKEN-Study, which was also conducted under the auspices of the Robert Koch-Institute, also fall into this category. In Germany, babies are repeatedly injected with combination vaccines starting at 9 weeks (!) after they are born. An increase in baby deaths following the six-vaccines-in-one-injection stirred up considerable controversy and led to an investigation of all deaths of uncertain causes from 2005 until 2008, to see if the deaths were linked to the vaccinations. The findings were to be published by the end of 2008, but as yet, nothing concerning this subject has been made public. Earlier this year, a lecture concerning the topic had been announced for a specialist conference, but was cancelled at short notice without giving any reasons as to why. One can only speculate as to the reasons for such obvious delays in addressing these topics. That the manufacturers of the sextuple vaccine financed most of the study obviously doesn’t contribute to the study’s neutrality. But now, let’s return to my evaluation of the KiGGS-study. First, it seemed that I wouldn’t get anywhere. The accompanying description of the data was inconsistent and lacked detailed information. In this study also, neglected or very sickly and consequently less vaccinated children had been lumped together with children whose parents had made a conscious decision not to vaccinate, or to vaccinate selectively. After a few days of examining the KiGGS data, I was somewhat discouraged. Too many valuable questions concerning vaccination issues had been removed from the raw data after the end of the study. Two pages of the interview with the doctor concerning vaccination topics, which included parents’ answers, were completely missing. 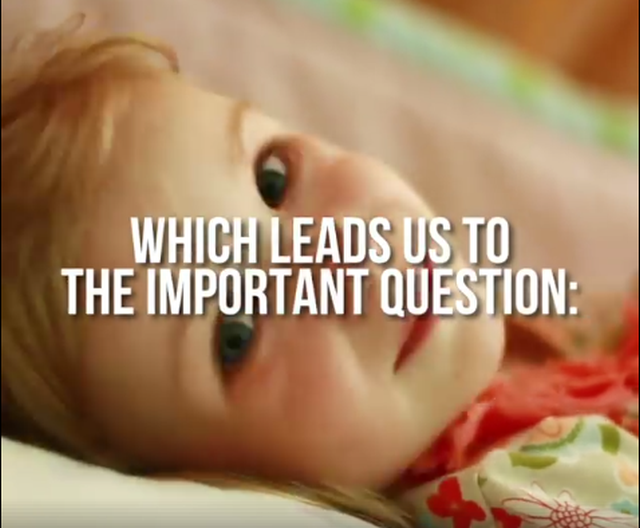 The answers to the questions “What were your reasons for not allowing your child to be vaccinated?” or “Has your child not tolerated a vaccination well?” had for example been completely removed from the data made available to the public. 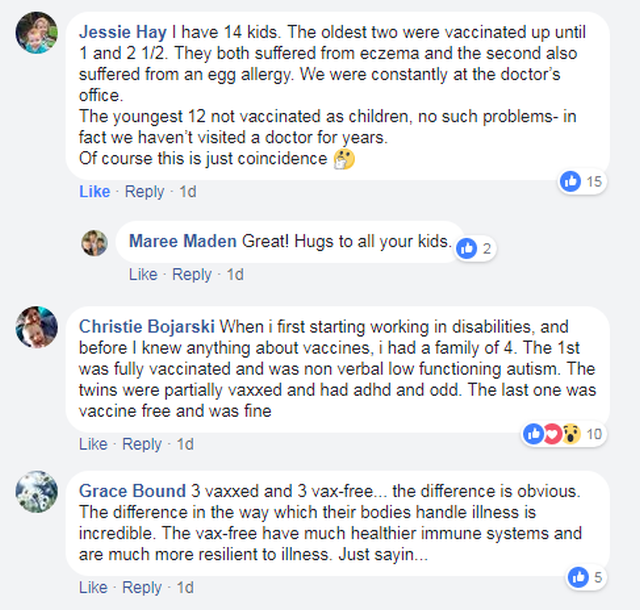 These answers would have made it possible to differentiate between children whose parents made a conscious decision to not vaccinate, or to only partially vaccinate, and children who had not yet been vaccinated due to illness, or due to parental negligence. 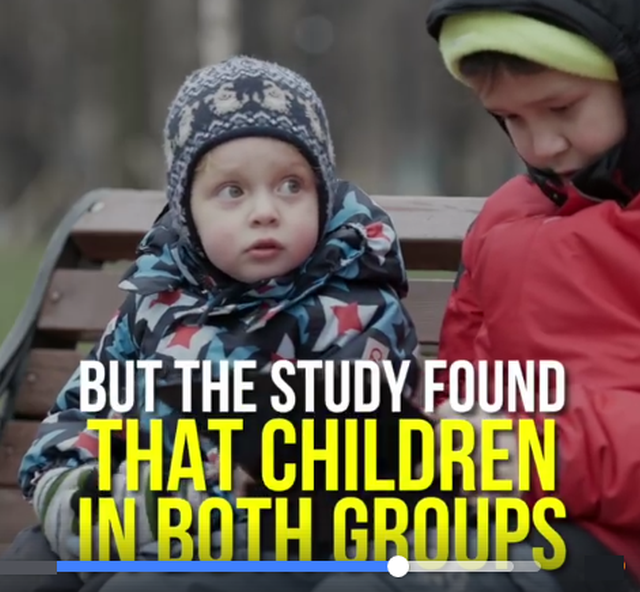 This differentiation is important, because if the statistics of these two groups are lumped together, it obviously worsens the health statistics of the healthier vaccine-free children. Already at this point, I however found that despite the missing data, important conclusions about improving children’s health could be found in this comprehensive study. 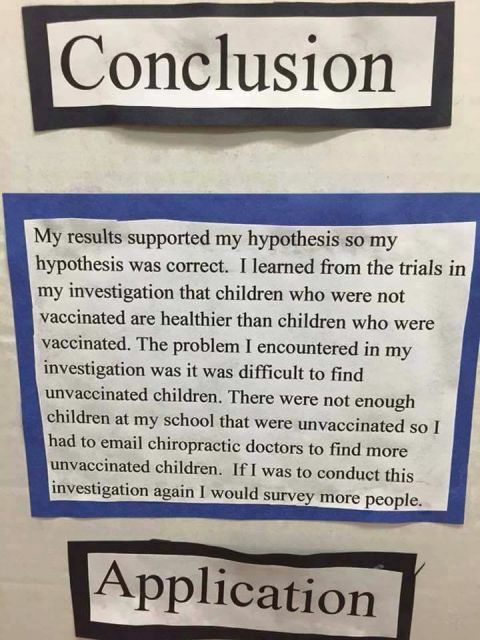 Because for each child that had been examined, the exact number of vaccinations had been noted, I was able to present clear and unexpected correlations regardless of these obstacles. 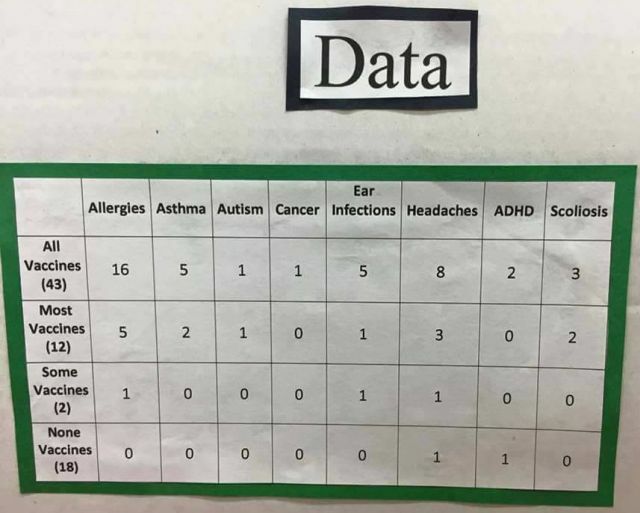 Many of these correlations between vaccination status and health are statistically significant, or even highly significant. There is a 5% chance that a statistically significant correlation is a coincidence, and a 1% chance that a highly significant correlation is a coincidence. In statistical analysis, this probability of error reflects the quality as far as the significance of a finding is concerned. Everyone who suffers from an allergy, or knows someone who does, is aware of how much this chronic condition lowers the quality of life. 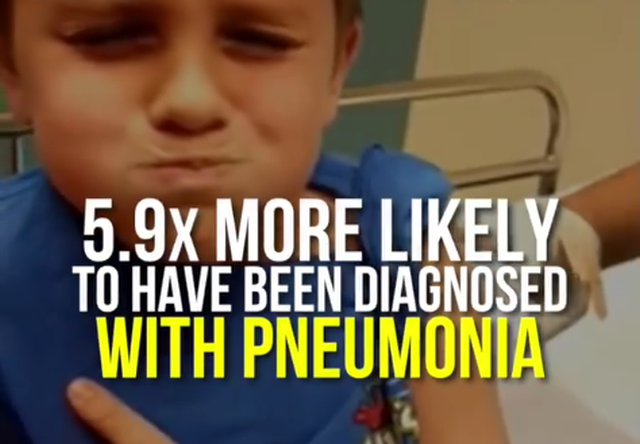 Vaccine-related allergies have already been discussed for several decades. 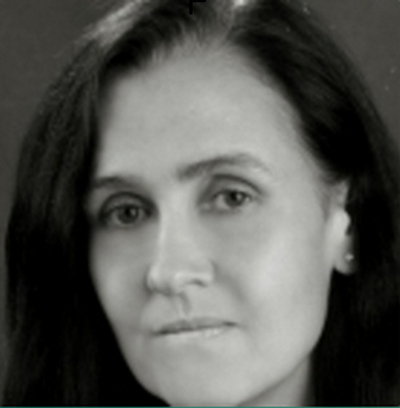 In 1997, an experienced homeopathic doctor told me at the first ‘Vaccine Critics Conference’ I had organized that accounts of hay fever only appeared after the introduction of smallpox vaccination and that historical research has shown that wherever vaccinations were carried out, epidemics of allergies followed (Dr. med. Arthur L. Braun, “Heuschnupfen und Impfung – Ein Beitrag zur Ursachenforschung der Allergie”, 1. Impfkritiker-Konferenz 19 & 20 April 1997). Dr. med. 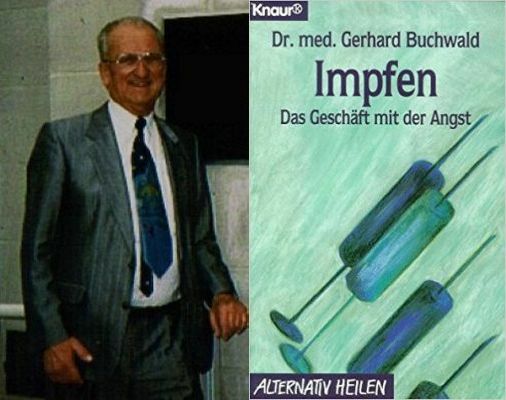 Gerhard Buchwald has also referred to the historical connection between vaccinations and allergies in his book ‘Impfen – Das Geschäft mit der Angst‘ – ‘Vaccination – A Business Based On Fear‘. In recent times, one increasingly reads claims from supporters of vaccination and the health authorities that vaccinations even protect against allergies. They point out that in the former East Germany, allergies were reportedly a rarity in spite of mandatory vaccination. 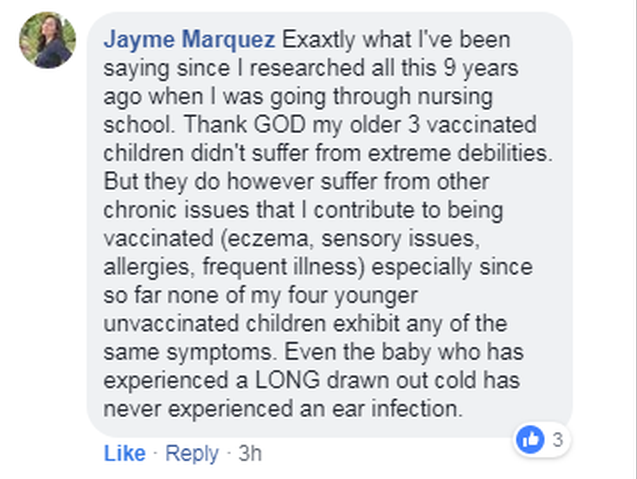 I however know from reliable sources that in the former East Germany, children who developed an allergy were not – or only rarely – given further vaccinations, as people were aware of the connection between vaccinations and allergies. I was therefore particularly curious concerning this matter and concentrated my efforts on the evaluation of the data concerning these connections, and have already found evidence which supports a link. 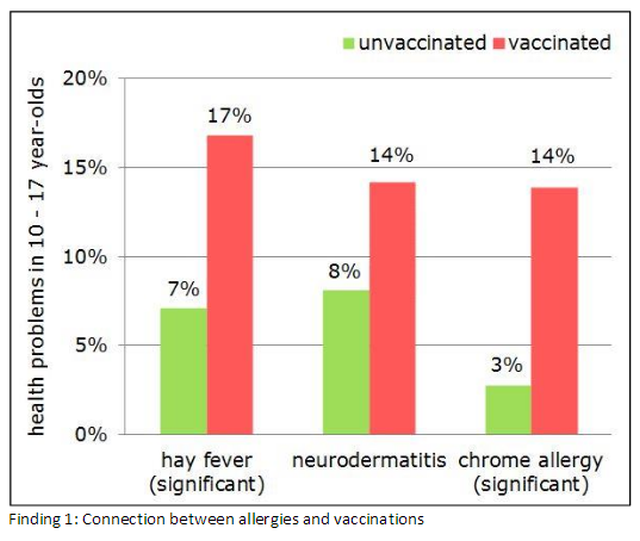 The incidence of eczema (neurodermatitis) is almost double; that of hay fever more than double, and chrome allergy five times as high as the incidence of these complaints in vaccine-free children! If it had been possible to filter from the group of unvaccinated children those who had not been vaccinated because they had been too sick, the differences would probably be even greater. It is also regrettable that 7% of the parents did not complete the vaccination section of the questionnaire and that the group of children, whose data concerning vaccination are completely missing, is with 7% therefore rather large. There are presumably many children hidden in this group whose parents made a conscious choice to give their children few, or no vaccines. It appears that to avoid unpleasant disputes with the doctors conducting the study, the parents had withheld the information concerning vaccination. 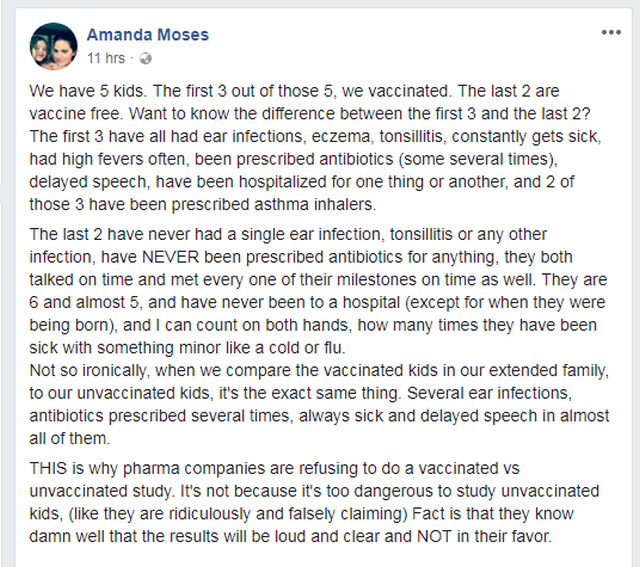 This stance of the parents is understandable, as the doctors in the study put the parents they interviewed under pressure to complete any outstanding vaccinations. Those of us who don’t vaccinate our children are already well acquainted with doctors’ scaremongering and pressure tactics. My evaluations of the study data will now provide us with powerful arguments to counter such tactics. – measles, mumps and rubella – usually given via the triple MMR-vaccine, or today as the quadruple vaccine MMRV, which includes varicella (chickenpox). The differences in vaccination rates show clearly that the vaccination decision is today often a conscious process and that there are many options ranging between complete vaccination and non-vaccination. These individual choices are however becoming increasingly difficult for parents, due to the increasing and now prevailing use of combination vaccines. This increasingly tends to narrow parents’ options, namely to either comply with the vaccination schedule, or else to not vaccinate at all. The evidence of a conscious individual decision is an important argument against the blanket accusation of child neglect, irresponsibility, or the so-called “vaccination fatigue” (in German-speaking countries referred to as “Impfmuffel” or “Impfmüdigkeit”). After all, the right to raise and care for our children is protected by our constitution. Now that we have powerful arguments in our favor, we need to insist all the more on this right. As parents, we know best what is good for our children and what we want for them. Of the 17,641 study participants, 217 (= 1.23%) were not vaccinated against tetanus. This figure was made up of those who either presented a vaccination certificate, or indicated that they had deliberately chosen not to have a certificate. Here I took into account a factor referred to as “statistical weight”, which had been introduced into the study to even out possible distortions, e.g. those resulting from non-participation by study participants which had been chosen at random. I chose tetanus as an example, because many parents fear this disease most. If one extrapolates the total number of children from the number of unvaccinated children in the study, there are well over 100,000 children and youths between the ages of one and 17 years who haven’t been vaccinated against tetanus in Germany. Yet, in spite of this, there hasn’t been a single tetanus death for decades in this age group. The few children who according to hospital statistics have become ill with tetanus each year (between 4 and 10 children per year) are successfully treated in hospital. The vaccination status of these infected children is unknown. Presumably, there are also vaccinated children among them. 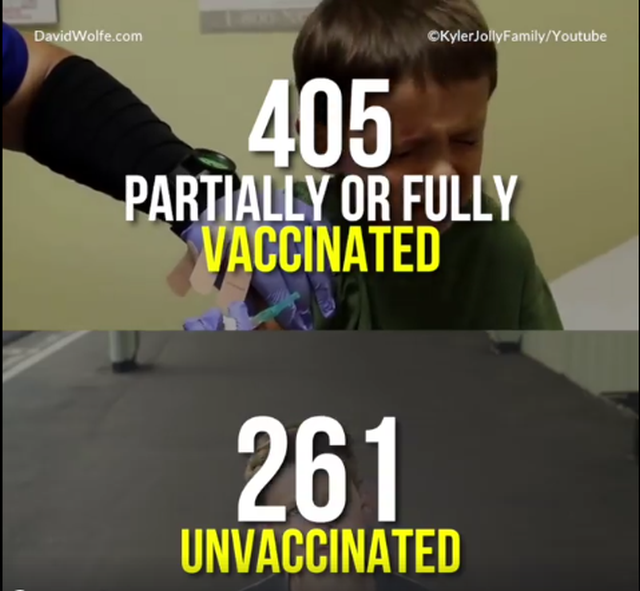 There were 1,779 children in the study who had received more than 30 vaccinations, mostly via combination injections, in the course of their life. On average, the children and youths between the age of 10 and 17 years had been injected with close to 23 vaccinations. The various additives in vaccines, such as preservatives, detergents which are also used in washing powders, and antibiotics, are a matter of great concern to me, as some of these additives have barely been researched and may not even be listed on the vaccine package inserts. Mercury was commonly used as a preservative in vaccines, but has been largely replaced with phenoxyethanol, which has been in use for a few years now. This chemical is used to anesthetize fish and as a preservative in cosmetics. From the data sheets of cosmetic manufacturers, we can gather that phenoxyethanol is known to cause allergies, skin rashes, neurological disorders, immune system malfunctions and organ damage. Animal experiments have also shown it to cause damage to genes and that it may be carcinogenic. The safety data sheets stipulate that this chemical requires special disposal and must not be allowed to get into the ground water, yet from their 9th week of life, babies are injected with two-and-a-half milligrams four times. 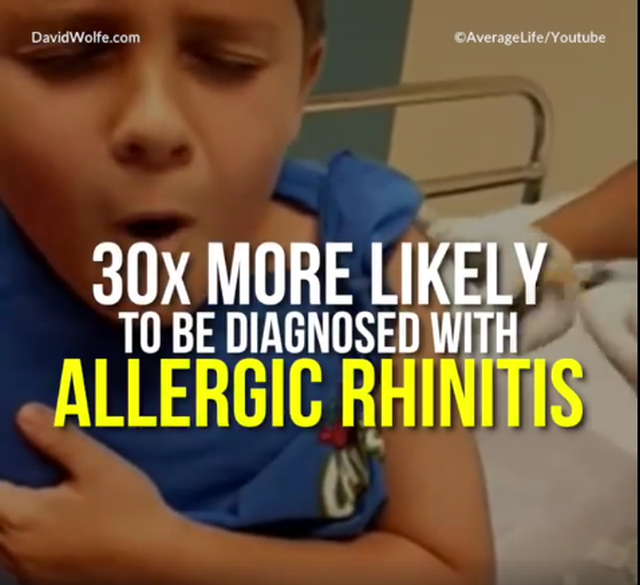 The medical literature describes a case of an 18-month-old infant who suffered a severe allergic reaction which was shown to have been linked to this additive. In regard to this additive, it is also of concern that while the comprehensive English-language data sheets deposited with the European licensing authority feature the type and quantity of this additive, this information is completely missing in the German product information, including the package inserts, as well as in the more elaborate specialist literature for doctors! The explanation for this can only be that this additive doesn’t have to be listed in Germany, as in e.g. Australia, these details are provided in the manufacturer’s product information! The question arises how a doctor can provide a patient, respectively the parent of a child, with adequate information if such important information from the manufacturer is withheld from the public. Because the information parents have access to is inadequate, parents are unable to give effective informed consent concerning vaccination. From a legal point of view, this consequently means that the doctor is inflicting a physical injury and that the vaccine manufacturers are misleading doctors into committing an illegal act. If one furthermore considers that this and many other additives don’t have to be declared, and that they are not tested for as part of the vaccine licensing process or even after licensing, it is not surprising that vaccines are increasingly being discussed in connection with nerve, organ and immune system damage and that many synergistic effects remain completely uninvestigated and are consequently unknown. A further important aspect concerning the health of children and youths are disorders affecting brain development. For decades now, competent critics have pointed out a connection between vaccinations and all manner of brain disorders of various degrees of severity and warn that vaccines permanently impair the brain and brain development during the very important first months and years of life. 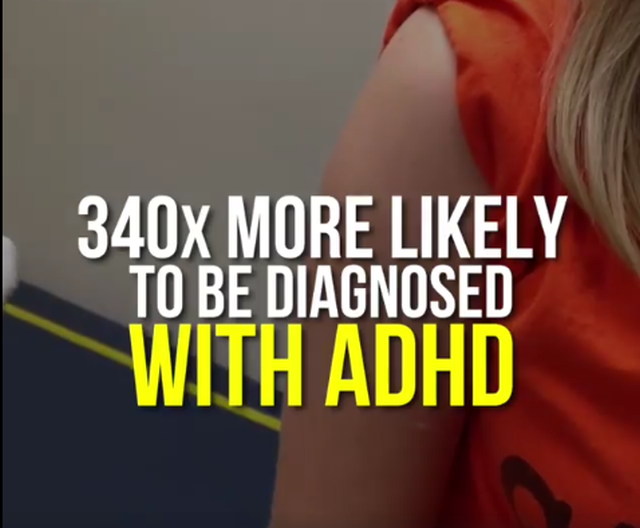 There has indeed been a remarkable increase in attention deficit disorder (ADD) and attention deficit hyperactive disorder (ADHD) in children and youths, which are commonly treated with drugs. 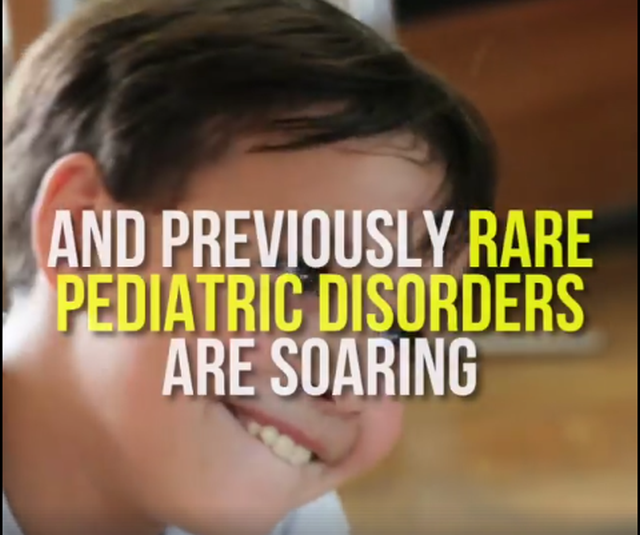 Learning and developmental disorders in children and youths are also being diagnosed with increasing frequency and “treated” with various drugs and all manner of therapies. Proper evaluation of the KiGGS study data to determine whether vaccination impairs brain development is therefore obviously all the more important. Children are now being vaccinated at an ever earlier age. In Germany, a baby who is vaccinated according to the official recommendations receives its first vaccinations (the sextuple vaccination) at eight weeks after it is born. If a baby suffers an adverse reaction, the only way for such a young creature to express the resulting pain and torment is high pitched, inconsolable screaming. In the medical literature, this type of crying is described with the French term ‘cri encephalique'(‘brain-related cry’) and is an acknowledged adverse reaction of vaccination. In safety trials, babies who exhibit such disturbed behavior and who cry in this abnormal manner after the first or second vaccination are commonly removed from the study. I know from accounts of severe vaccine injuries that mothers remarked on this high pitched, inconsolable screaming that goes on for hours, yet on being informed of this, doctors quite often accuse the mother of being hysterical and continue to vaccinate. This is a serious medical error! Every package insert mentions that vaccination should be discontinued in case of an adverse reaction. After the second or third vaccination, epileptic fits tend to occur. Dr. Buchwald, who was our most renowned critic of vaccination in Germany, has related for a long time his observation that vaccinations result in a slight impairment of the optical nerves, which are also brain nerves, causing impaired vision. Damage to the eye nerves is even listed as an adverse reaction on the package insert of a childhood vaccine. It is therefore not surprising that vaccine-free children are less likely to need glasses than vaccinated children. It is also not uncommon for people to suddenly become blind after a vaccination, in the absence of an obvious cause apart from the preceding vaccination. 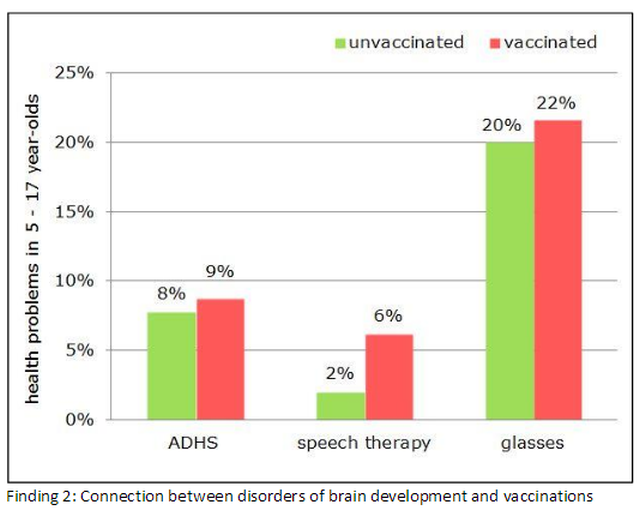 Vaccinated children are more likely to have glasses, suffer more often from attention deficit disorder and are three times more often in need of speech therapy. If vaccinated children more commonly suffer from allergies and deficits regarding their brain development, are they at least better protected against infectious diseases and healthier because of it? 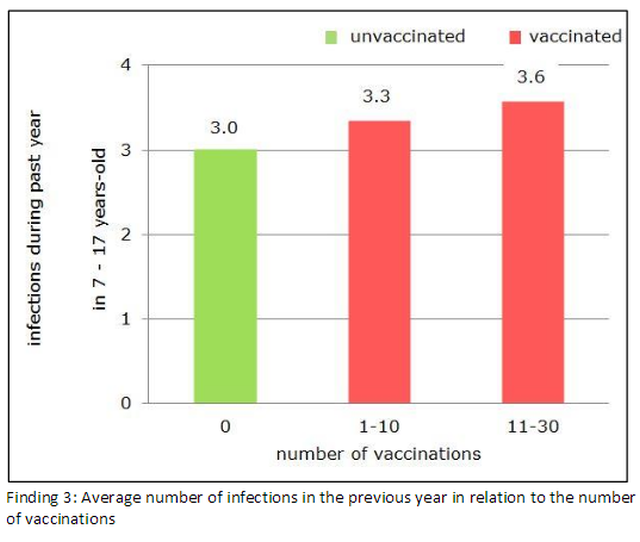 Because not only the information of whether a child had been given a particular vaccine, but also information concerning the actual number of vaccines which had been given was recorded in the survey data, a more exact evaluation of a possible connection between the number of vaccines given and the average number of infections over the previous year could be made. The data showed that susceptibility to infections increases as a result of vaccinations, regardless of whether they are infections involving the stomach and intestinal tract, or simple colds. 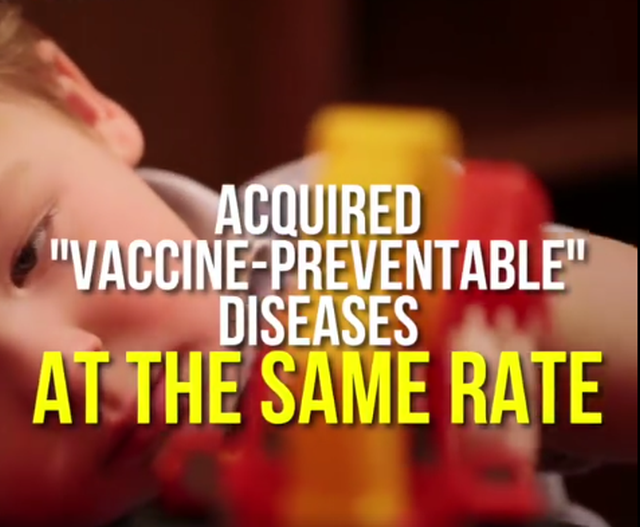 The more vaccinations, the more susceptible to infections the children became. This effect can be explained with the added stress vaccinations impose on the immune system, resulting in a weakened immune system and consequently a heightened susceptibility to infections. 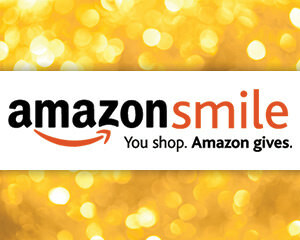 This in turn provides the medical-pharmaceutical industry with additional profits from the sale of drugs to treat them. Vaccinated children also suffer significantly more often from serious infections such as pneumonia and inner ear infections. 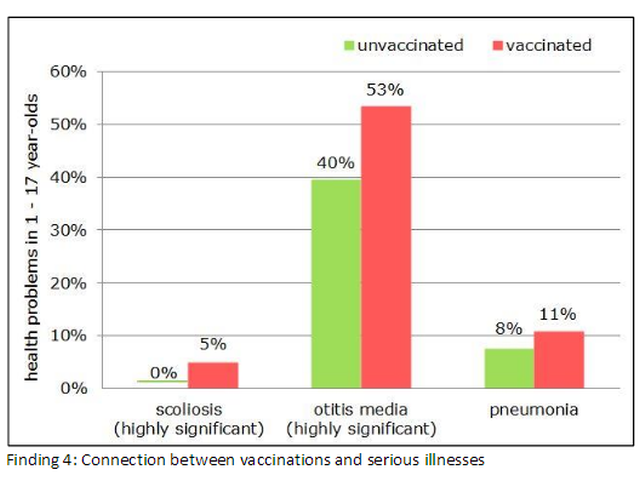 The survey data shows that 7.75% of vaccine-free-children, but 11.07 % of vaccinated children suffered from pneumonia, while 39.62 % of vaccine-free children, but over 53.46% of vaccinated children suffered from a painful inner ear infection. 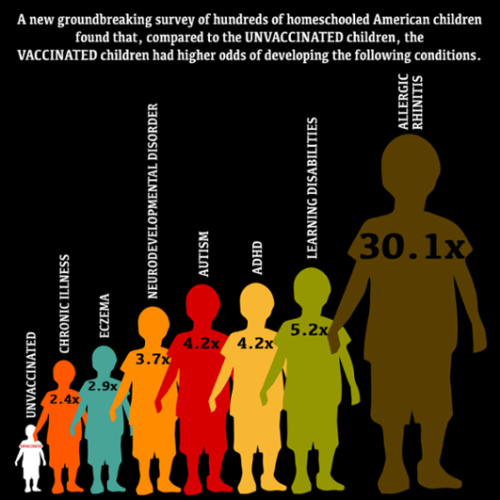 Also, over 5% of vaccinated children were diagnosed with a scoliosis, which is an abnormal curvature of the spine. 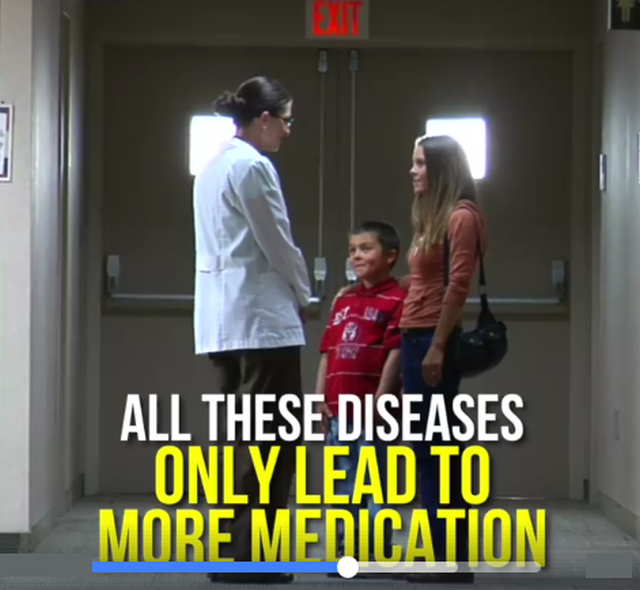 Readers may now ask how this can be linked to vaccinations. Neurological disorders such as so-called neuropathies, adverse reactions which are mentioned on almost every vaccine package insert, may explain this prevalence of scoliosis in vaccinated children. Medical science appears to be unaware of this possible link. This topic has consequently not been the subject of any studies, in spite of this difference in the incidence of scoliosis in vaccinated versus that in vaccine-free children being “highly significant” in statistical terms. 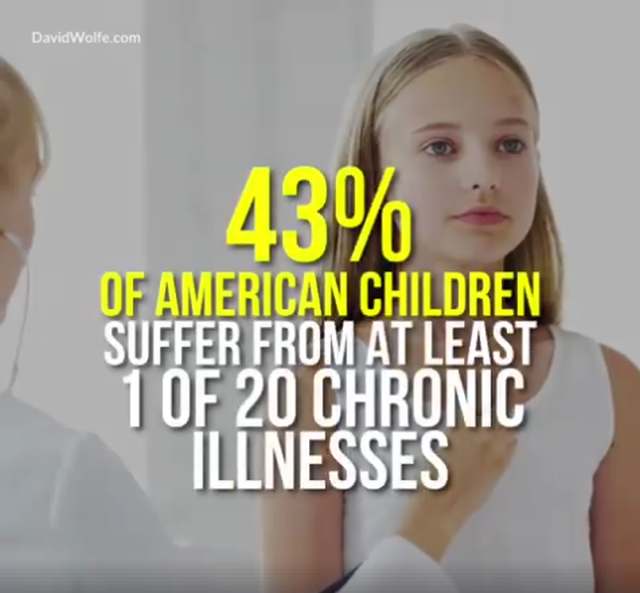 Vaccinated children and youths are at a significantly higher risk of pneumonia and inner ear infections and over 5% of vaccinated children suffer from an abnormal curvature of the spine, while in vaccine-free children no scoliosis was found. Vaccine-free children have been proven to be much more resistant against viral infections such as e.g. chickenpox, vaccinations against which have been given only for a relatively short time, as well as bacterial illnesses such as scarlet fever, or salmonella-related diarrhea. 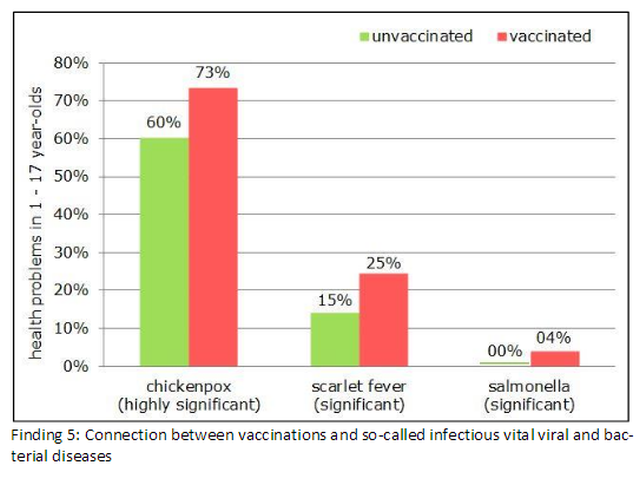 Vaccinated children are much more susceptible to infectious diseases such as chickenpox, scarlet fever and salmonella-related diarrhea, because the immune system is harmed by vaccinations. Observant parents and therapists have already noted such connections for some decades. 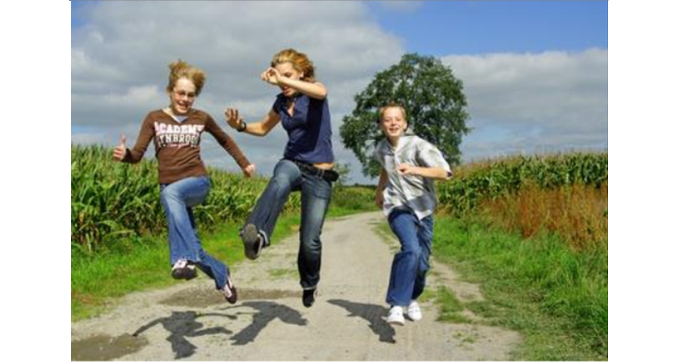 It is therefore also not surprising that the study results show that the more siblings there are in a family, the less vaccinations are given. Depending on the age group, vaccine-free children have up to a third more siblings. Parents were also questioned about their educational qualifications as part of the survey. My findings showed that the higher a mother’s educational qualifications, the less likely she is to vaccinate. The reason why educated mothers may vaccinate less may simply be that they are likely to find it easier to research information which is often written in specialist language. Obviously, this doesn’t mean that less educated mothers are less intelligent or more irresponsible. I do however find it regrettable that generally understandable information which looks at vaccination in a critical light is still not widely available. Fathers’ education doesn’t appear to play a role in the vaccination decision. I have given over 100 lectures in the past 14 years and can confirm that only a few members of the audiences are fathers. I find this unfortunate, as I feel that both parents need to bear the responsibility of the vaccination decision equally. It is therefore my heartfelt wish that an increasing number of fathers will take an active interest in this important issue. The evaluation of the KiGGS study data I have undertaken has proven that vaccine-free children are significantly healthier and more resistant. What then about the so-called vaccine-induced immunity? Are vaccinated children at least protected against the illnesses they are vaccinated for with such a high risk of adverse reactions? A certain protective effect against the particular disease does appear to exist. It is however unknown whether this effect is possibly the result of a certain bias of the consulted doctors. A doctor is e.g. more likely to diagnose a possible measles rash in a child vaccinated against measles as eczema, and to possibly misdiagnose a skin rash in a vaccine-free child as measles. It is also possible that vaccinated children are less likely to catch childhood illnesses they have been vaccinated against because the vaccinations they have been given impair the immune system’s normal functioning evident as e.g. a fever and a rash. For now, let us however assume that the data is more or less reliable. About 10 out of 100 children who have not been vaccinated against the disease get measles, while 6 out of 100 children who have been vaccinated against measles get the disease. Similar results can be observed with mumps and rubella. According to the study data, these vaccinations therefore provide a protective effect of about 40%. However, among the children who had been vaccinated against measles who got measles anyway, there were 63 children who had been given three or more measles vaccinations. 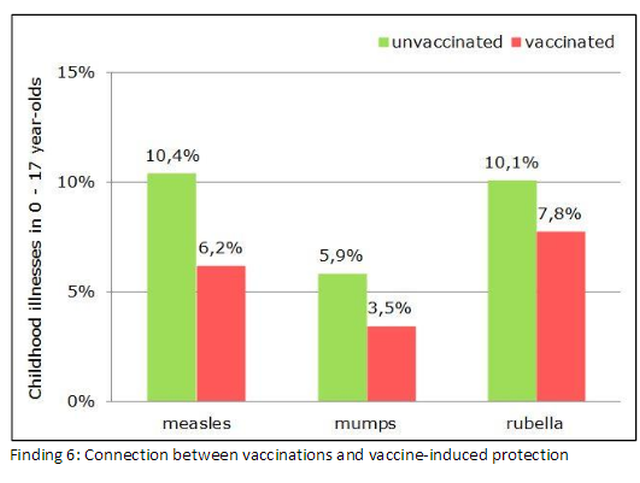 While manufacturers and the authorities claim that vaccination against measles, mumps and rubella provide almost perfect protection against these diseases, the poor protective effect demonstrated by the study contradicts their claims. In Germany, vaccine-free children are presumed to be a danger to others, as unlike vaccinated children, they are assumed to be contagious. The fact that they may therefore be excluded from school in case of a measles outbreak shows the extent to which human rights and the principle of equality enshrined in the constitution are being violated. Because such a high number of children get measles regardless of having been vaccinated, this discrimination against vaccine-free children and their parents is very problematic from a legal view-point, and should be ended. The KiGGS study failed to address other factors which may influence the health of children and youths. Anxious parents e. g. tend to take their child to visit their doctor more frequently. 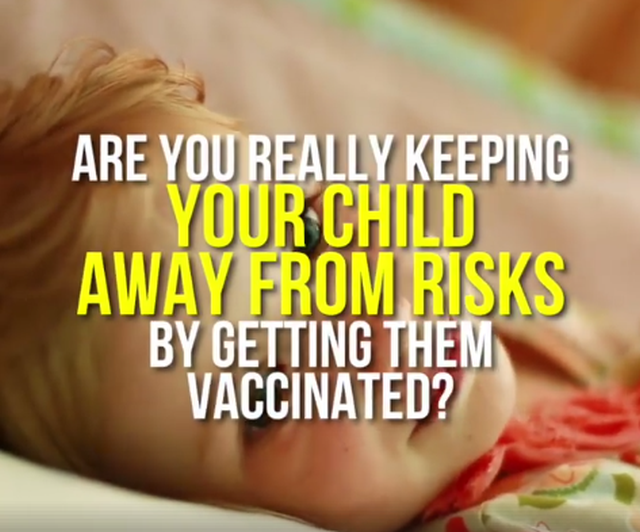 Such children therefore tend to get repeatedly vaccinated from an early age. 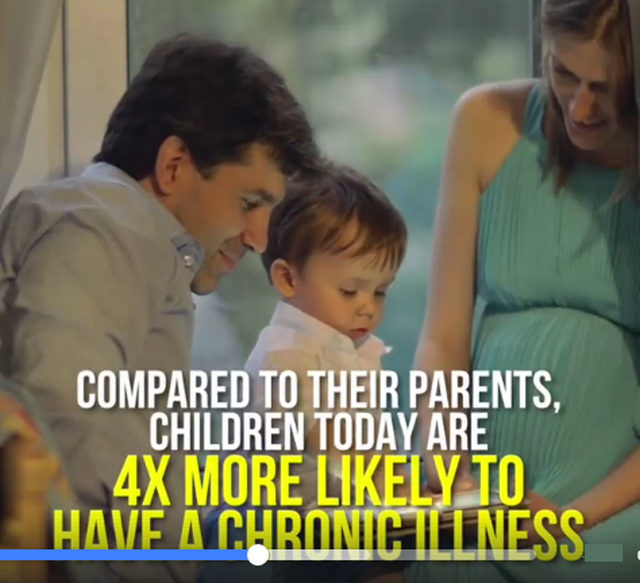 From a holistic viewpoint, this parental anxiety makes such children especially susceptible to ill-health. 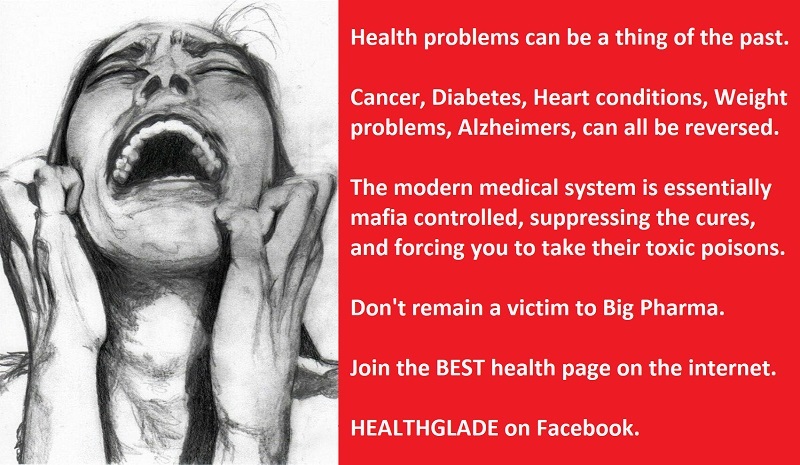 Their impaired health may partly be due to such additional influences. Fear is however the worst possible starting point for parents to base their decisions on and not an appropriate foundation for raising robust, healthy and independent children. Parents who inflict vaccinations and other unnecessary medical procedures on their children may benefit from questioning their attitude to life and from seeking help to overcome their fears, to avoid falling for the fear-based marketing ploys of the pharmaceutical industry. Because I am myself the mother of four children, I am well aware how constant and subtle manipulation is used to engender fear in parents. The only way to resist this kind of pressure is to acquire factual information, and a good sense of humour. The survey data of the KiGGS-study repeatedly provides proof that vaccine-free children are in every respect healthier than vaccinated children. 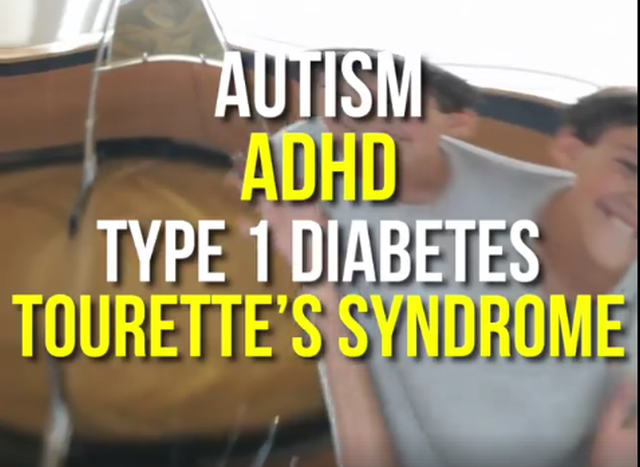 The effects of the vaccine ingredients and in particular the adverse effects of some of the highly toxic additives provide a logical explanation for this finding. 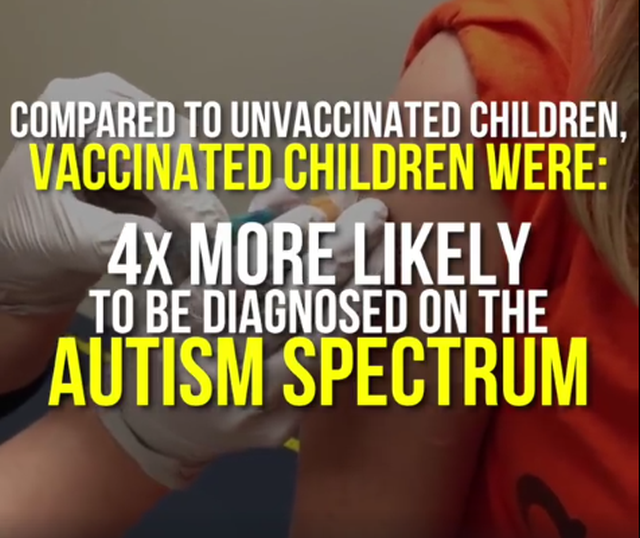 The defamation of non-vaccinating parents must stop immediately, as well as the direct and indirect pressure to vaccinate, such as for example the exclusion of vaccine-free children from school during disease outbreaks. More comprehensive and updated information concerning the evaluation of the KiGGS-study and other issues can be found on my homepage www.efi-online.de . Translated by Erwin Alber – thanks to Angelika Müller, Sabina Sapiatzer and Eric Blankenbyl for their help! Meanwhile, the RKI’s long ago announced rebuttal has been published in the German Medical Journal (Deutsches Ärzteblatt) of February 2011. Without giving any reason for it, in this assessment of the study result the RKI removed 2479 children of migrant families and 79 children without answers to migration status from the study. Reducing the size of the group of vaccine-free children has weakened the significance of the study results. A weak significance means that there is an increased probability of an accidental result in the course of the study assessment. The significance is considered the mark of quality of a result, as it serves to assess the probability. As a result of the arbitrary exclusion of these migrant children, the already small group of 132 vaccine-free children was unfortunately reduced by another 33 children, reducing the significance even further. 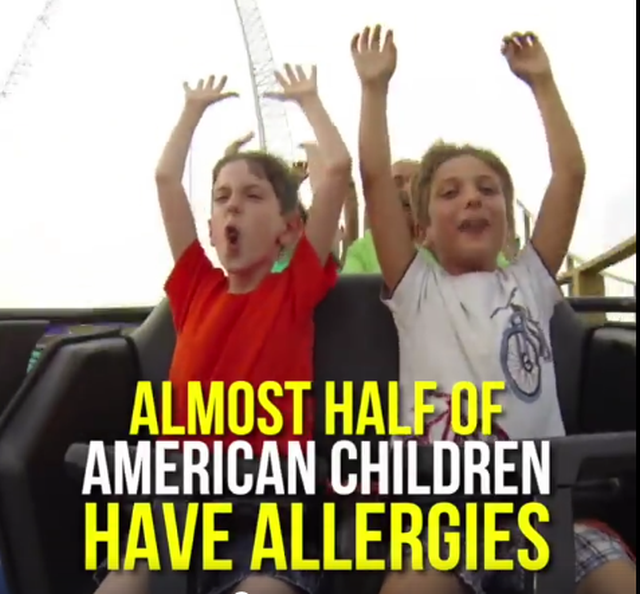 In spite of this, the allergy risk is partly also twice as high as in vaccine-free children in the RKI’s assessment of the study. Because of the poor significance, this is however considered unimportant by the authors. It is also interesting to note the conflicts of interests concerning two large vaccine manufacturers declared by two of the study’s authors. 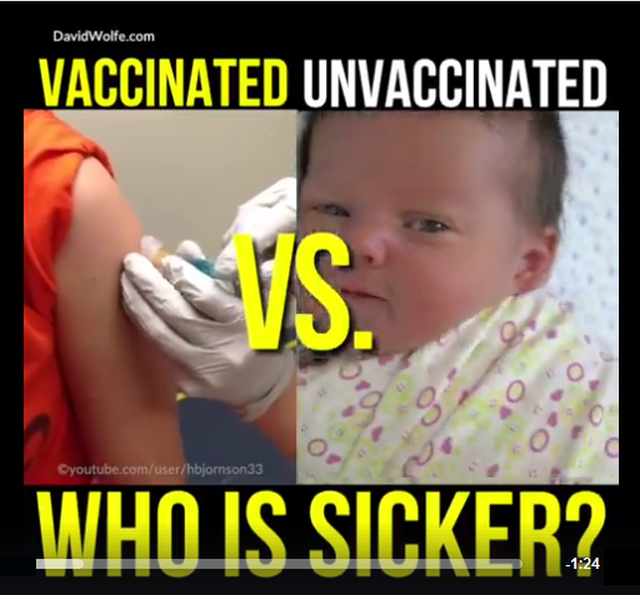 – Vaccinated vs. Unvaccinated: Guess who is Sicker? 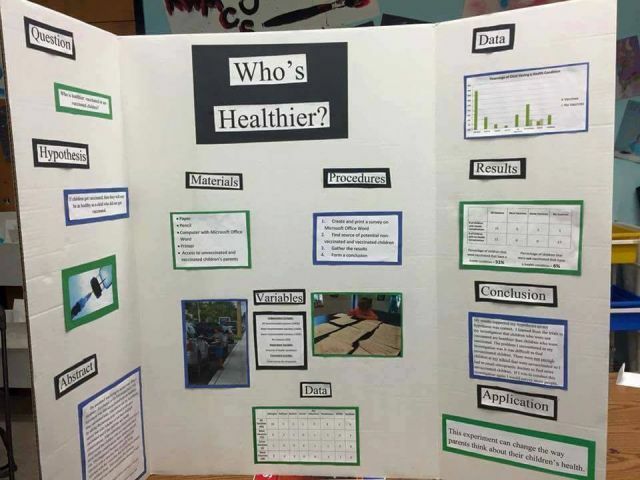 How come a 5th grader will conduct research our government refuses to do? As would be expected, vaccinated children did have lower likelihood of two vaccine-preventable illnesses compared to unvaccinated children: chicken pox (7.9% vs. 25.3%), and pertussis (2.5% vs. 8.4%), but the scientists found no significant differences in rates of other vaccine-preventable illnesses like hepatitis A or B, measles, mumps, rubella, influenza, meningitis or rotavirus. The study suggests that fully vaccinated children may be trading the prevention of certain acute illnesses (chicken pox, pertussis) for more chronic illnesses and neurodevelopmental disorders like ADHD and Autism. 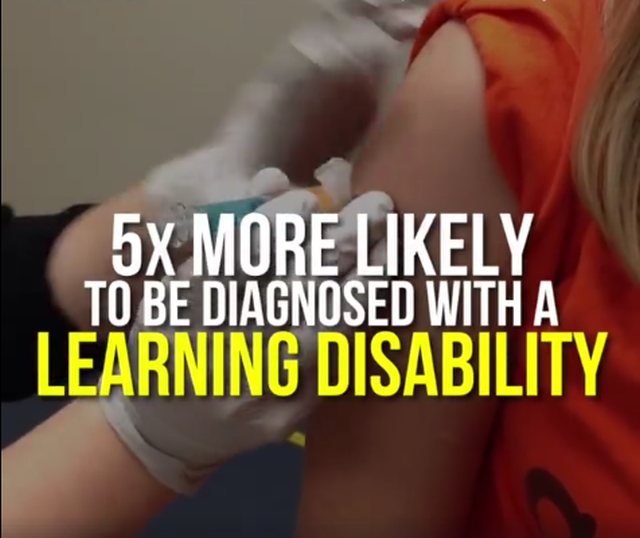 The scientists also found that children born prematurely, who were vaccinated, were 6.6 times more likely to have a neurodevelopmental disorder.